I confess, everytime I cook, I tend to reinvent the wheel. I seem to have boredom issues with redoing the same dish the same way, even when my family adored. They complain about it too, a lot. Monsieur and Junior will be expecting their favourite tarragon and lemon roast chicken of mine (recipe here), I serve them a bird glazed with honey and sriracha instead. Oh, it’s good, genius even, but it’s not what they were salivating over just at the thought. 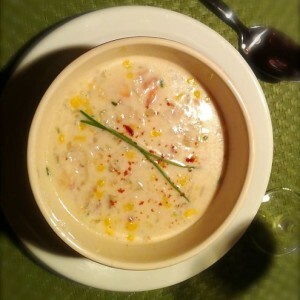 Which brings me to chef David Tanis, a food writer for the New York Times, who last fall published One good dish. In 10 ingredients or less at times, he serves up the perfect version of a casual dish, the kind you learn to master, then redo again and again. 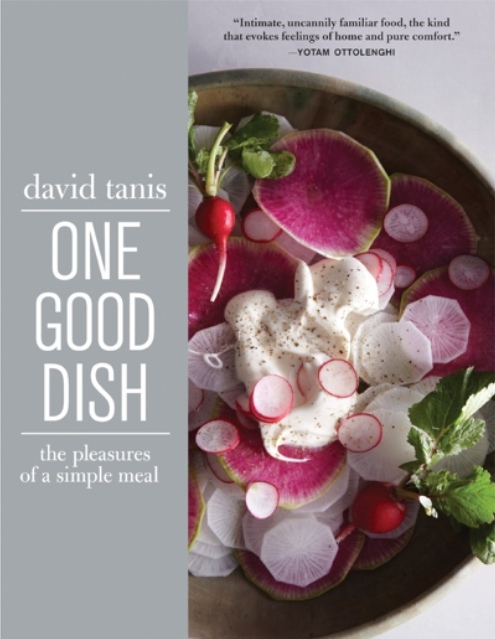 From Tanis, I already own A Platter of Figs and Other Recipes, published in 2008 to overwhelmingly good reviews. But, confession time, I resisted buying his last book, not because I don’t yearn to do so, but because I own just too many cookbooks already. 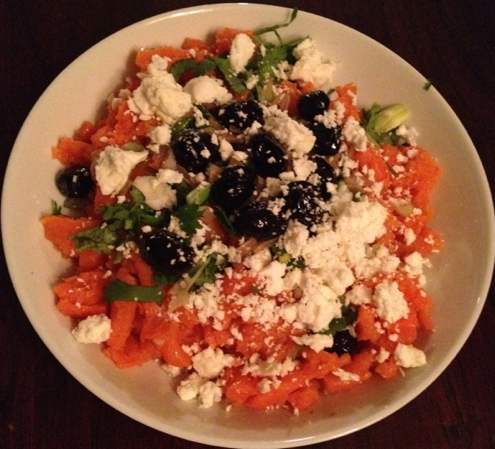 That said, when I was looking for a good vegetable side, I turned to Tanis, Slater and Ottolenghi, then settled on Tanis’ Moroccan Carrots since I happened to have all the ingredients on hand. My goodness, a dish of such perfection, where every ingredient rings with the truest note, so much so that I can’t see how any small change would not belittle its integrity. 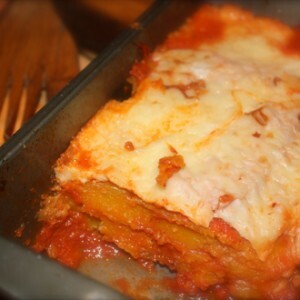 In other words, the kind of dish that goes against the grain of improvisation that characterizes my cooking. Here’s the recipe. You will rarely hear me say so, but I suggest you follow it to a T.
I always imagined a carrot “salad” should start with grated carrots. Not so. 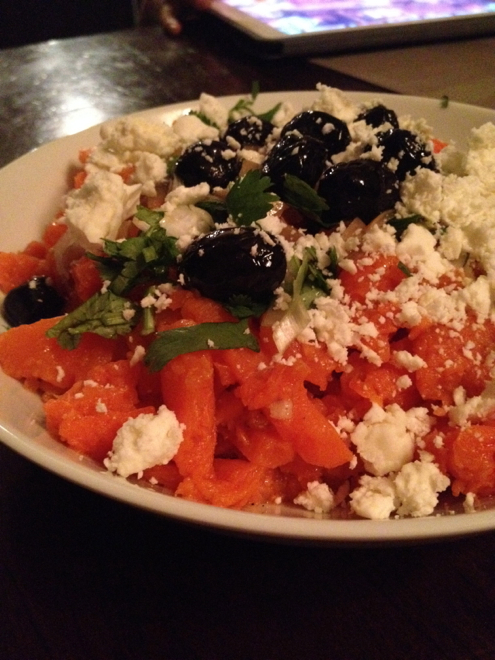 This one has you cook the carrots, which seems to be a traditional Moroccan style. The addition of feta cheese, though, is all Tanis. Go for it, since it elevates the recipe to an even higher realm. 1. Cook carrots for 15 minutes in a large pot of lightly-salted boiling water. Drain and let cool at room temperature. 2. In a skillet over medium-high heat, toast cumin and coriander seeds until flagrant, around 1 minute. Grind in a coffee grinder or mortar. 3. 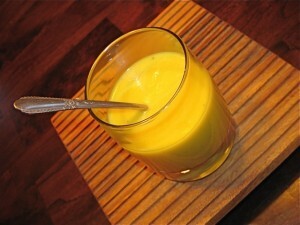 Combine lemon juice, ground spices, garlic paste, ginger, Cayenne and olive oil to make a dressing. Season. 4. In a bowl, coarsely crush carrots using a potato masher. Pour over dressing and mix. Transfer to a serving plate, then garnish with feta, olives, preserved lemon, cilantro and green onion. Enjoy the perfection of it. @Aimee If you’re a cilantro fiend like me 🙂 I’ve been a roll lately, the Roasted eggplant with caramelized onion and diced lemon in Ottolenghi’s Jerusalem is also mind-blowing… Tell me how you liked the Tanis recipe.